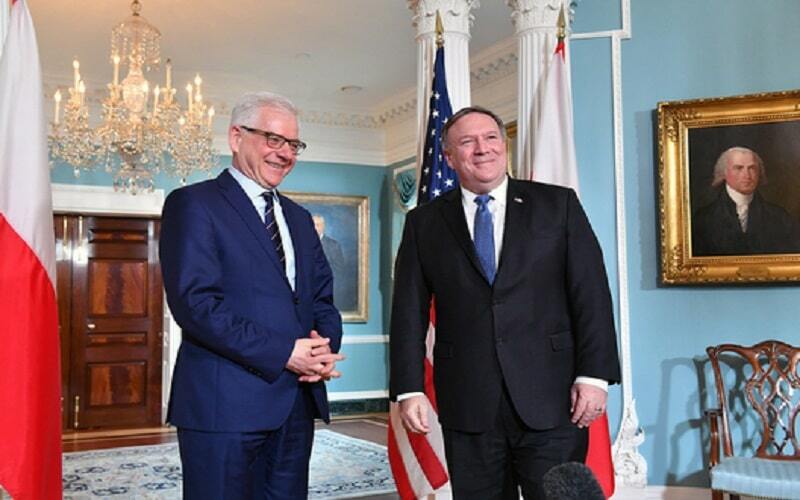 The Poland (Warsaw) Summit co-hosted by U.S. and Poland on February 13-14 aims at improving peace and security in the Middle East and focuses on confronting mullah’s regime meddling in the region. The consequences of this summit on the Iranian regime are significant. Never had we witnessed such an international coalition against the Iranian regime. Therefore, the primary message of the Poland (Warsaw) Summit is further isolation of Tehran. States wish to deal a resolute response to the policies of this regime, its terrorism and the mayhem it has created in the Middle East and throughout the world. The policy of appeasement has failed and therefore we are witnessing a radical change in the resolve of the international community towards Tehran. The world now believes the time has come to face the truth about this regime. The international community wants to convey this message to Tehran that the threat of regime’s missiles and weapons of mass destruction can no longer be tolerated. The importance of this summit may also be construed from regime’s frenetic reaction. Ali Khorram, the Iranian regime’s former UN ambassador, warns about an international consensus taking shape and expresses his concern about Iran’s isolation at a global level: “If Mike Pompeo succeeds in transforming the propaganda summit of Poland into a political summit, it will be the prelude for a military coalition against Iran. All the involved parties are swiftly putting aside their opposition to US on this issue and are turning to an enemy of Iran”. What are the objectives of U.S. and the participants of the summit? The primary objective of this summit is to halt regime’s interference in the region including its meddling in Syria, support of Yemen’s Houthis, support for Iraqi paramilitary forces, and support for the Lebanese Hezbollah. These acts of the mullahs regime have deprived the Middle East of peace and security. It seems that the summit in Poland is a significant step against the warmongering of Tehran, the godfather of terrorism. Bahrain Foreign Minister Khalid bin Ahmed Al Khalifa said he will be talking about the Iranian regime’s multi-faceted terrorism during the Poland (Warsaw) Summit. Is the Poland (Warsaw) Summit the prelude to a change in relations between the west and Tehran? The Iranian regime is internationally turning to an isolated state; a feat that has come about through four decades of a resilient struggle by the Iranian Resistance and its revelation of mullahs regime’s terrorism and warmongering. The Iranian Resistance disclosed Tehran’s nuclear facilities in 2002, at a time when it was completely clandestine. Had it not been for this disclosure, the world would now be facing a rogue, nuclear-armed state. Although those supporting the policy of appeasement with this regime wanted to ignore its destructive terrorist activities, development of ballistic missiles, nuclear program, and its warmongering, the steadfastness of the Iranian Resistance in disclosing all these rogue activities made the appeasement policy to hit the wall. On the other hand, regime’s terrorism in 2018 is threatening Europe like never before. Although Europe is pursuing its realpolitik with Tehran, they are now concluding that silence in the face of regime’s terrorism would bode ill for Europe. Additionally, mullahs’ missile activities and the undiplomatic behavior of Iranians towards the EU delegation in Tehran have driven a wedge with the regime. What is the expectation of the Iranian people and Resistance from Poland (Warsaw) Summit? The Iranian Resistance led by Mrs. Maryam Rajavi, the President-elect of the National Council of Resistance of Iran (NCRI), has laid out 8 demands on the table, and prominent among them is the recognition of Iranian people’s right to overthrow the religious fascism ruling Iran. The only organized and independent movement that has confronted this regime for the last 40 years is the National Council of Resistance of Iran and its pivotal force the MEK (PMOI). They are the sole true representative of the Iranian people and hence it is incumbent on the international community to recognize both the legitimacy of the struggle of the Iranian people and their true representative, the NCRI with MEK/PMOI as its pivotal organization. Regime’s leaders have stated time and again that PMOI is the most organized opposition to their rule both inside and abroad. Internally, the “resistance units” affiliated with the MEK network inside the country, are creating headaches for the mullahs. Their activities demonstrate the resolve of the Resistance to continue a decade long struggle. And on the European soil, they are the supporters of NCRI and MEK that are demonstrating in the European cities and in front of the regime’s embassies; disclosing regime’s terrorist diplomats and being the voice of the enchained Iranian people. Therefore, if the European countries wish to prevent the meddling of the regime in the Middle East or contain its threat to their security, they should show their courage by recognizing the main opposition to Tehran and the real alternative to the mullahs regime that is the NCRI and its pivotal organization the MEK/PMOI. I was so fortunate to read this article. Thanks for your good job! At the Polish conference, the National Council of Resistance and its elected president, Mrs. Maryam Rajavi, should be known.